The CARBEO France app on iPhone and iPad helps you find the cheapest filling stations in France. The answer to your refuelling needs! 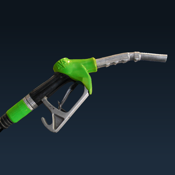 Since 2005, CARBEO.COM has collected information on petrol stations in France and their services and fuel prices (SP 95, SP 98, SP 95-E10, E85, diesel, diesel+ and LPG). More than 13,000 stations in mainland France and Corsica are covered. CARBEO France is the leading app for information on fuel prices. Every day, CARBEO.COM collects enormous quantities of data on the prices and available services at filling stations in France, thanks to its extensive community of members, owners and managers of filling stations, and official sources, as well as the contributions of tens of thousands of Smartphone users and users of the CARBEO app! -In just one click, you can find all the filling stations nearby as well as your favourite stations. -All fuel types distributed in France are accessible: SP95, SP98, SP95-E10, E85, diesel, diesel+ and LPG. -Option of sorting station results by price or distance. -Results displayed in a list or on a map. -Open driving directions to the station. -Photos of the filling stations. -Customised results according to your preferences: brands, fuel type, distance. We respond to ALL emails sent to the address given in "About". Please do not hesitate to contact us if you encounter any problems.